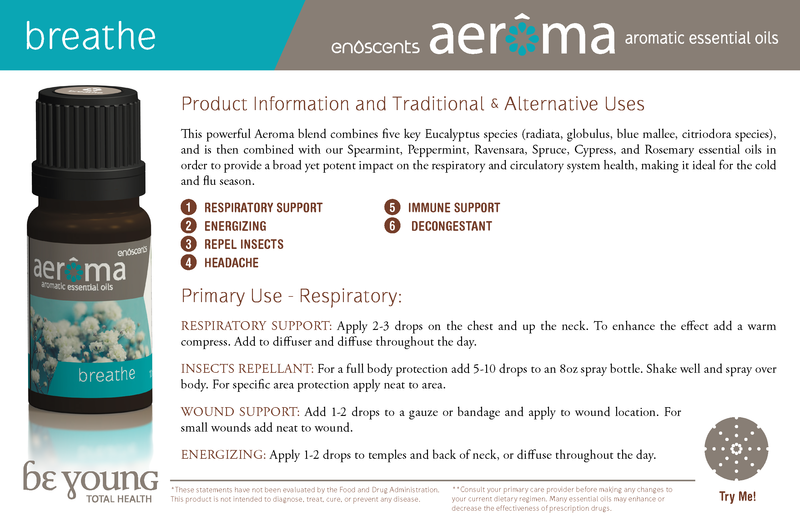 Our exclusive Breathe™ blend is a go to essential oil for respiratory complaints and to boost immunity. Blended with four different types eucalyptus essential oil it this powerhouse essential oil blend works wonders on the body during time of stress and troublesome respiratory complaints. It is well known that eucalyptus has many benefits ranging from it antibacterial and antioxidant benefits to its cleansing. However, most notably is its expectorant like action helping to expel mucus and other issues typically experienced during upper respiratory tract infections. Breathe blend essential oil is also a great everyday use essential oil as it has a stimulating and invigorating aroma that brings a sense of Zen and balance to the room. With breathe you can truly breathe easy and enjoy your day. We certify that this batch conforms to product specification.